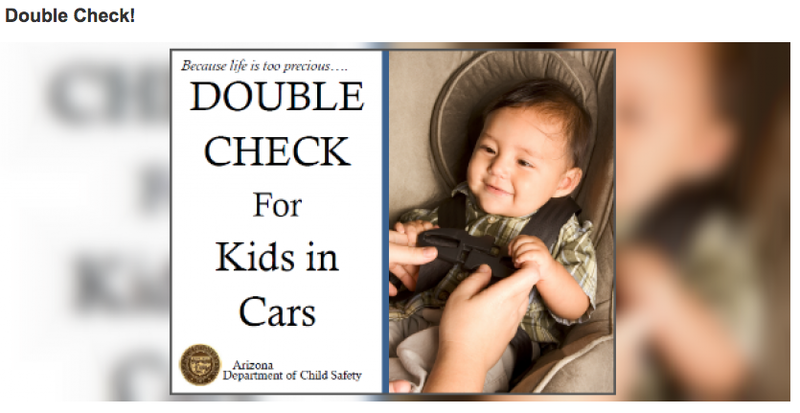 •Bashas’ Family of Stores: Bashas’ and Food City grocery stores have teamed up with the Arizona Department of Child Safety to urge everyone to double-check their vehicle every time they exit it this summer — to make sure no child is left inside. The supermarkets have prominently posted “Double Check for Kids in Cars” signage at entrances, and are airing public service announcements over the in-store radio intercom system. In addition, the grocers will devote a section of their weekly ads to reminders about the campaign to prevent child deaths. For more information, visit dcs.az.gov/double-check. •REI: The national outdoor outfitter awarded a $5,000 grant to Living Streets Alliance so the city can extend Tucson’s first curb-separated bike lane downtown on Stone Avenue from Alameda Street, where the current lane ends, one block south to Pennington Street. •Tucson Federal Credit Union: Gave $10,000 to the Girl Scouts of Southern Arizona for its social justice programming, especially for girls who are in the foster care system. • Bank of America Charitable Foundation: Gave the Girl Scouts of Southern Arizona a $5,000 grant to support financial literacy programming. •Macy’s: Is helping Phoenix-based TGen, a biomedical research institute, raise money, through the department store chain’s national Shop For a Cause charity shopping event on Aug. 29. To purchase a $5 shopping pass, of which 100 percent will go to TGen, see helptgen.org/macys . The pass comes with discounts throughout Macy’s stores that day; visit macys.com/shopforacause. Submit items about charitable giving by local businesses and nonprofits to business@tucson.com; please use Giving Back in the email subject line and include photos in jpeg format.